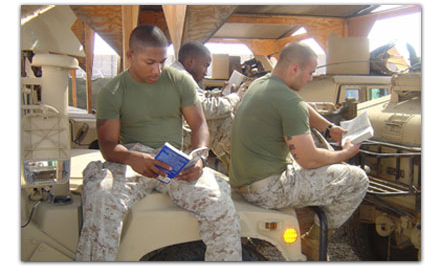 Research guide for Marine Corps Non-Commissioned officers (NCOs). 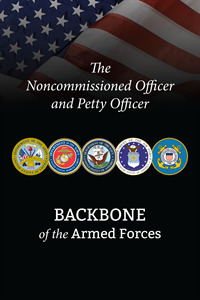 Includes articles, books and online resources on leadership principles, NCO history, character traits, who's who in the USMC, USMC reading list for enlisted Marines, and more. We will not just ensure “Every Marine is a Rifleman,” we will emphasize combat leadership, knowledge, and proficiency throughout the continuum of training and education for our NCOs and staff NCOs, in addition to their military occupational specialty (MOS). We must ensure both PME and MOS skill development are modernized and designed to reach our entire officer population, regardless of opportunity to attend resident education, and the core knowledge and abilities are adequately acquired in any venue.